Arsenal under Arséne Wenger are known for finding and developing players into top-quality stars, and then selling them to immediate rivals. It’s a trend they followed even this time around, with Alexis Sanchez’s move to Man Utd. The forward had virtually gone on strike last summer for a proposed move to Man City, but the deal failed to materialise, as the Gunners took too long to sort out a replacement. A second attempt at signing the Chilean by the Cityzens was hijacked by their neighbours, and Sanchez completed his jump over the Emirates’ walls, with Henrikh Mkhitaryan going the other way. However, things have hardly gone as planned for the talented winger, as Red Devils supporters are yet to see a performance that is even close to his best. The former Barcelona man has only managed to net a single goal in his first 10 appearances, which has led many Gooners to believe they received the better end of the deal. 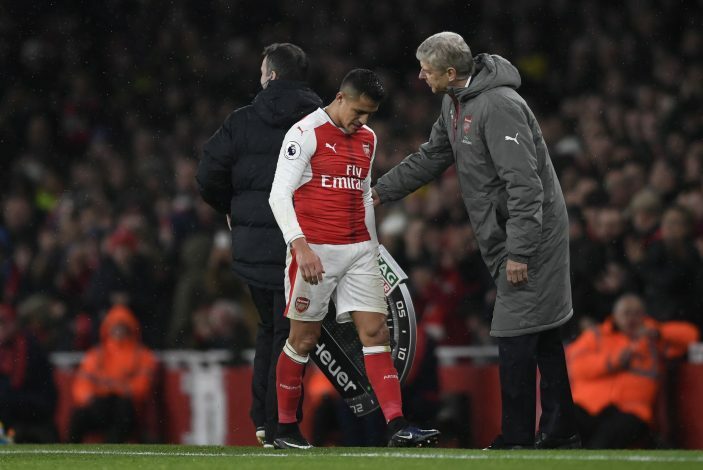 However, boss Arséne Wenger did not share this belief, and the Chilean international has now revealed what the French tactician said to him before his departure to Old Trafford. “He was very fond of me and he didn’t want to let me go,” the 29-year-old told Chilean television, as per Mirror. It’s no secret that Wenger was fully aware of the brilliance the mercurial forward brings to the squad.